The limited number of seats in the Professional colleges means that only the best students get selected. They are then trained by some of the finest faculty members. Add to this, the guest lectures delivered by industry experts, and you know that Professional degrees have a definite edge over others. C.A stands for Chartered Accountant. 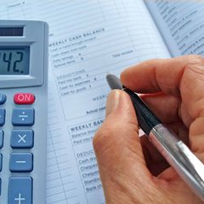 A Chartered Accountant is a person who is specialized in auditing, taxation and accounting. He also performs as a management and corporate caretaker. 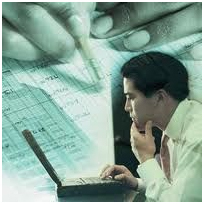 Currently accountancy as a profession has become more popular. Even in small companies and businesses the services of a Chartered Accountant is required for money matters. Besides according to Company Act Chartered Accountant professional are the only professionals who can be recruited as auditors for companies in India. A chartered accountant is a individual who is accepted as a associate of the Institute of Chartered Accountants of India (ICAI) after passing the Final examination of the Chartered Accountancy course which is conducted by the institute. C.S stands for Company Secretaryship. Company Secretary is a professional course which is managed by The Institute of Company Secretaries of India (ICSI) which is constituted under the Company Secretaries Act, 1980 to grow and control the profession of Company Secretaries in India. Company secretary are required to be appointed by those companies who's paid up capital is of Rs.50 lakhs according to the Companies Act. To turn out to be a company secretary a candidate must pass the foundation course, executive program and professional course which were earlier known as Foundation Examination, Intermediate Examination and Final Examination which are conducted by institutes and later they have to undertake for practical training to be eligible for the membership as a Company secretary. ICWA stands for Cost and Work Accountancy. On 28th May, 1959 the Institute of Cost and works Accountants of India (ICWAI) was setup under the Cost and Works Accountants Act, 1959. Cost and Work Accountants structures the business policy of a company and to give a forecast for projects to be carried out on the basis of past and present financial performances. For pursuing this program a student should pass in senior secondary examination (10+2) or equivalent examination. Commerce graduates with Auditing, Commercial law, Accountancy are also eligible for pursuing this program. For pursuing this program the minimum requirement is 10+2 or equivalent examination. Graduates and post graduates who have passed final exams of ICWAI or ICAI are also eligible for this program. For pursuing this program a student must have completed 17 years of ages and must have passed the senior secondary examination (10+2) of any board recognized by the Central or State government. TUITION: Home Tuition available for CA / CS / ICWA.